Enjoy free shipping Friday, April 19, 2019 through Monday, April 22, 2019. Just use coupon code SHIPFREE when you checkout! Happy Easter! Welcome to our new website and new look! 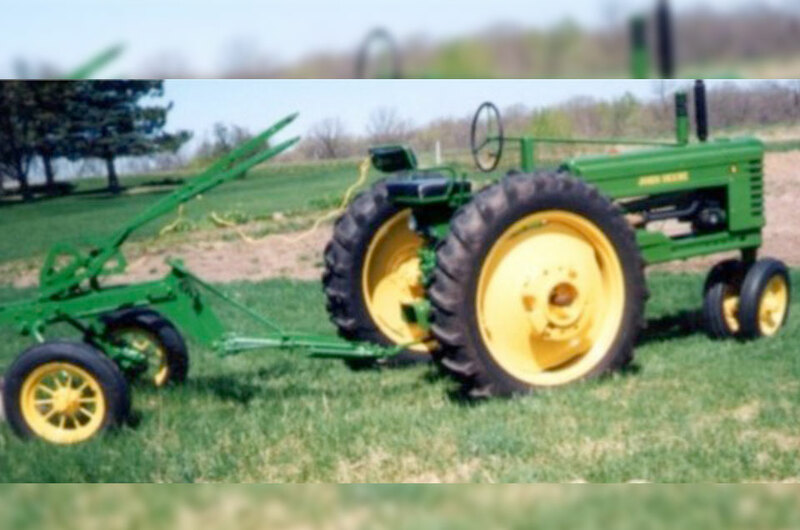 While we’re still the same Robert’s Carburetor that specializes in your 2-cylinder carb and Wico magneto restoration, we’ve expanded heavily into the New Generation of John Deere tractors to be your specialists for those too. As a result, we felt the need to update our website to give you a better, fresher experience, allow for better mobile access and to show case what we’re really all about. Our companies and philosophies haven’t changed, just our look. We’re still proud of our small town heritage and our big business abilities. Our commitment to top quality parts and service will still set us apart from everyone else. And we’re still here to help answer your questions and provide you with exactly what you need. Nobody can beat our tech support not just for your carb but for your entire tractor. So check out our new website and let us know how we can help you! Out of all of our quality products, here are few that we think you’ll especially like. Ever since I had purchased that tractor it had been a pain in the rear to try to get it to start at idle, extremely temperamental. 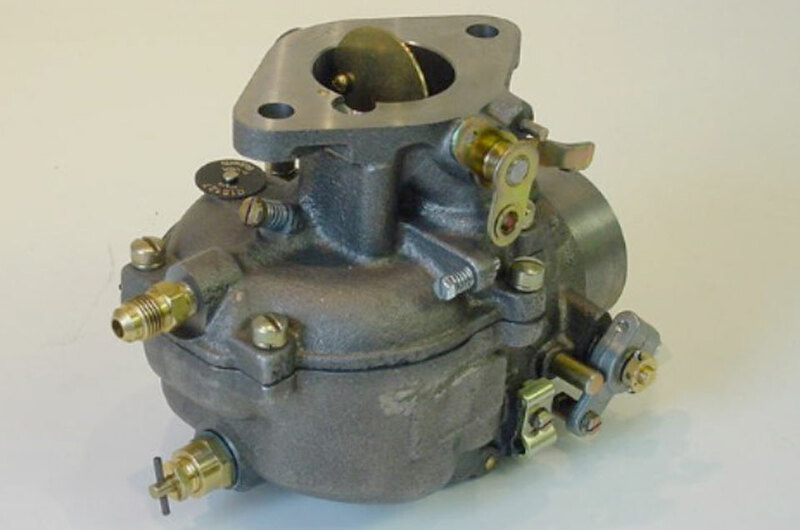 After trying to rebuild the fac-tory OEM/POS carburetor with no luck I started looking around and someone fortunately told me about Roberts Carburetor. So I made the phone call and talk to Gary. I was immediately impressed with his knowledge of the 4020 in general. 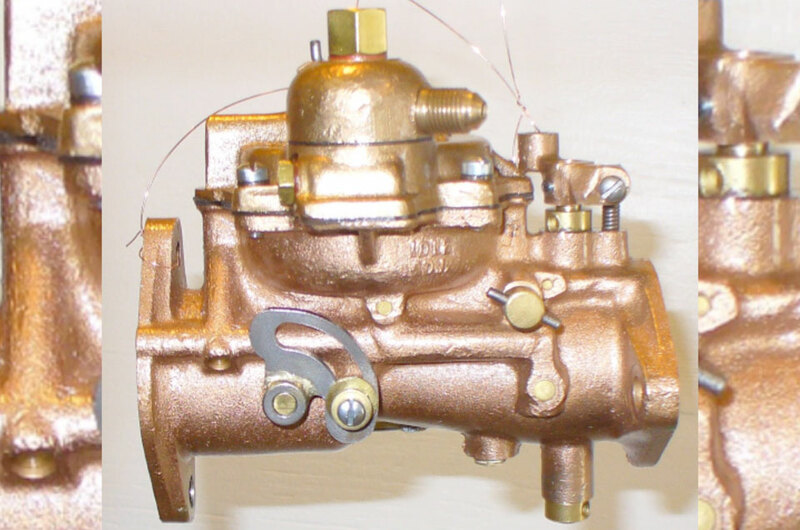 Although I was a little bit surprised on how much the carburetor cost I would have to say now after using the tractor with the new carburetor it was the best money I have ever spent in my life! The tractor now does things it has never done before, you know start at idle. 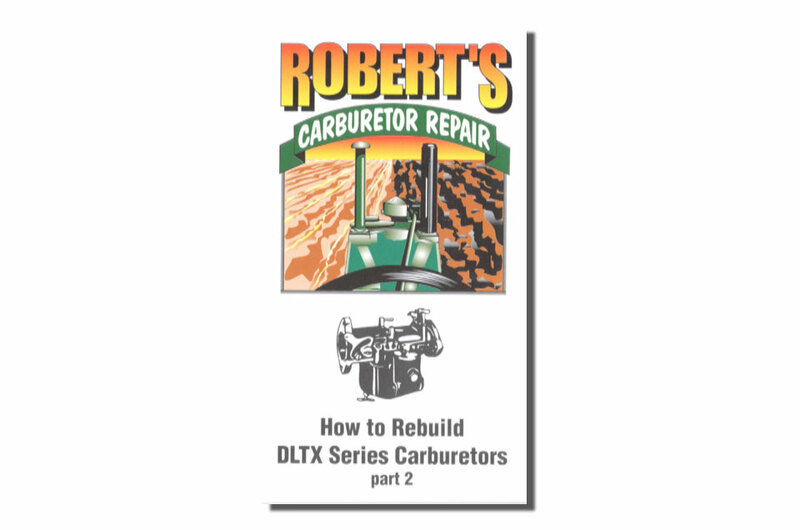 Anyway I just want to say thanks to Roberts Carburetor and their amazing staff for producing such a good product and I would highly recommend it to anyone who has a problem with their tractor. 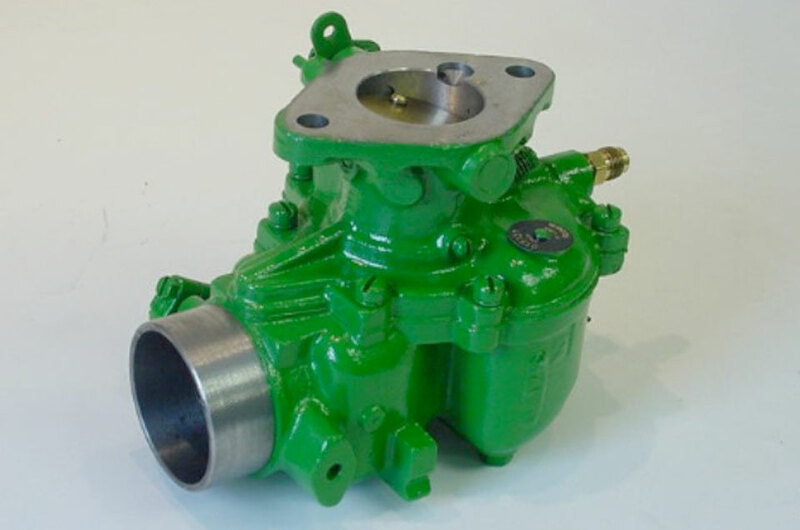 I am very happy with the carburetor you fixed for my B John Deere. It works perfect now. It did not need adjustment. I had it at two other places before. I will recommend you to everyone. I am a John Deere boy. A friend of mine bought your DLTX videos a couple of years ago and thought they were very good. He thought I needed something to do on these cold winter days, so he gave them to me to see. I always thought my "42" A ran pretty good after sitting for 15+ years and maybe only needed a new bowl gasket to keep it from weeping gas. After watching the videos I decided to rebuild it and got it installed yesterday. What a difference! It could not possibly run any better. Just wanted to let you know that they are very well done, with nothing left out. Thanks for hav-ing that info out there. Now I can't wait to get the duplex one and tear into my 630, which I'm sure needs it. I would just like to let you know that I have just received the four carburetors that you overhauled for me. 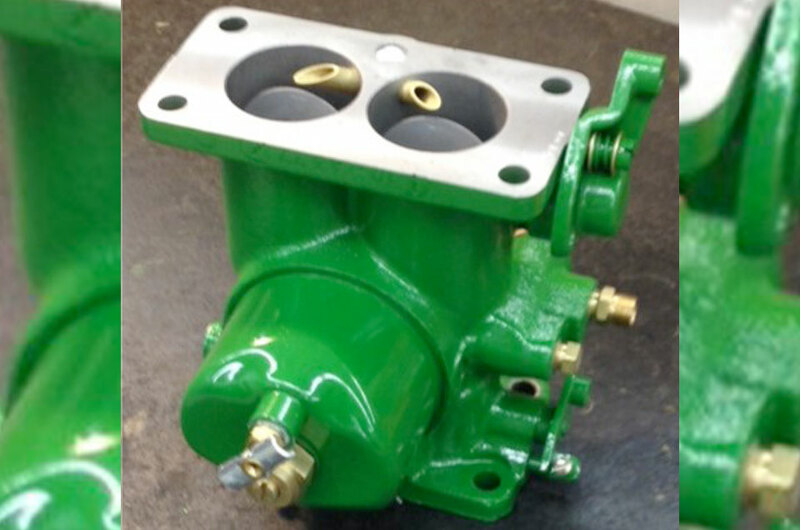 You had done a carburetor a few years back for my "AR" John Deere and I finally got it running this summer. Thanks to you, it runs like a Swiss watch now. I would like to thank you for the fine service you provide. 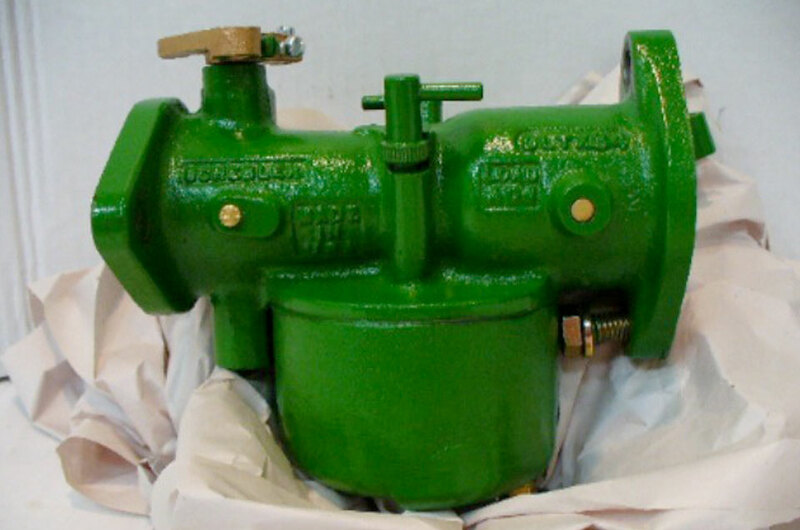 After my fourth attempt with other suppliers at getting a carburetor that matched my restoration quality, I finally found what I was looking for. 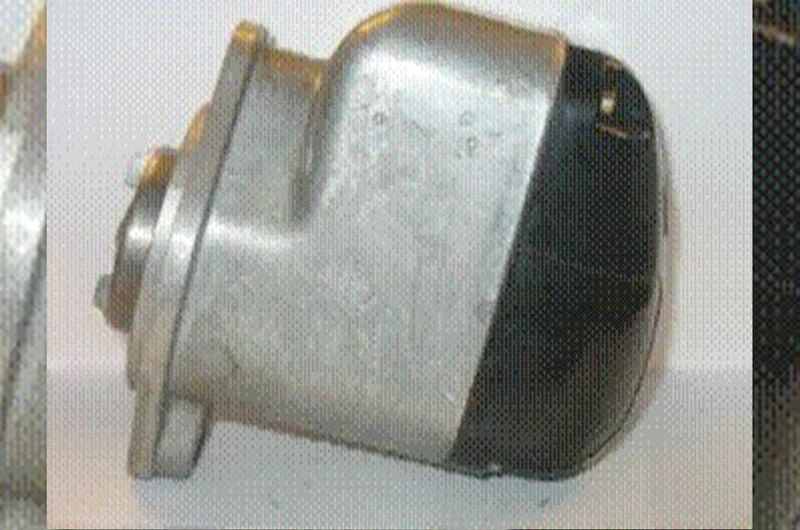 Not on-ly is my DLTX-34 a premium looking carb, but out preforms all others I have tried. I will be very pleased to spread the word of such a quality business such as yours. Thank you so much for taking special steps to assure my satis-faction was met. Thanks for the fast service and the help over the phone. Put my mag back together after watching your film. My 1940 A runs better that it ever has. The carb works great, the tractor hasn’t ran this good in 15 years. The black smoke is gone, it starts now and has all kinds of power. Installation was easy, everything was on the new carb that was on mine. Thank you so much. 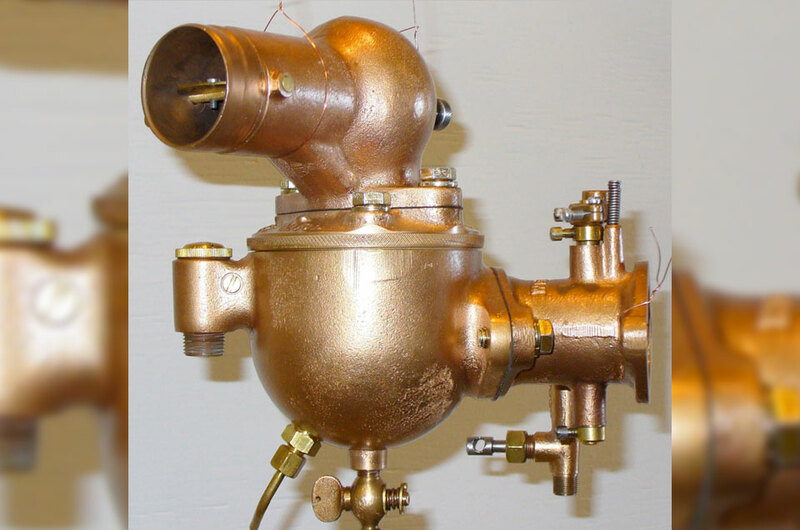 I finally got around to putting on the DLTX-46 carburetor that you all rebuild and I am most happy with it. The tractor runs like a dream and sounds really good. It pays to go the professional way. Thanks again for a job well done. 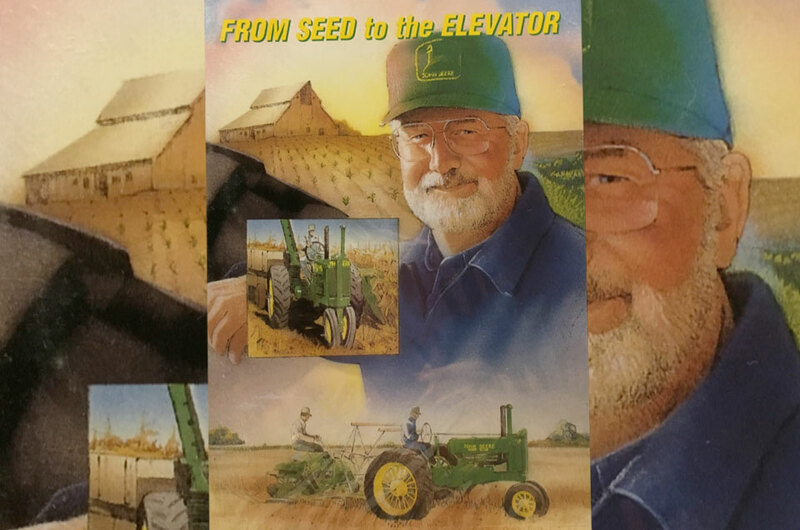 This is just to tell you how much I have enjoyed your video "From Seed to the Elevator”. I received my copy of it yesterday (Monday our time) and have just played it tonight. It has been a fascinating and educational trip into American agriculture for me. Our farming is all broad acre cultivation or pastoral based, hardly any row cropping has ever been done in Australia, mainly because our rainfall is low and the distribution pattern does not favor corn in most areas. I was intrigued to see the oats broadcast then disked in. In Australia we have two native birds in particular, the Cockatoo and the Corella, that have thrived on our farming system to the point that rather than being endan-gered they are generally in plague proportions in our rural districts. They would have had at least a third of that seed before you got to it with the discs. All cereal or grass seed crops are drilled over here to minimize the losses. Altogether a most enjoyable experience. I just had to write because I can not believe how fast you worked on my cam AND had it back to me all in under one week! Excellent service above and be-yond. So many businesses today don't seem to know what that word means. But you and your company have nailed it. When I’ve ordered parts, I have them in two days! And the quality of the parts and workmanship on the cam are perfect. I have the experience of getting some "reproduction" parts from a company and all I can say is….well…junk. It’s costing me money since they like to charge a 20% restocking fee if I happen to send back their inferior parts. Keep up the AWESOME service. Got the DX304 carb you guys redid back on my tractor, That old D hasn’t run that good in all the years that I have owned it. She’s gonna get a new paint job now too because the carb doesn’t leak on her any more and she deserves to look as good as she runs! It was really worth the wait. Thanks much to you all. 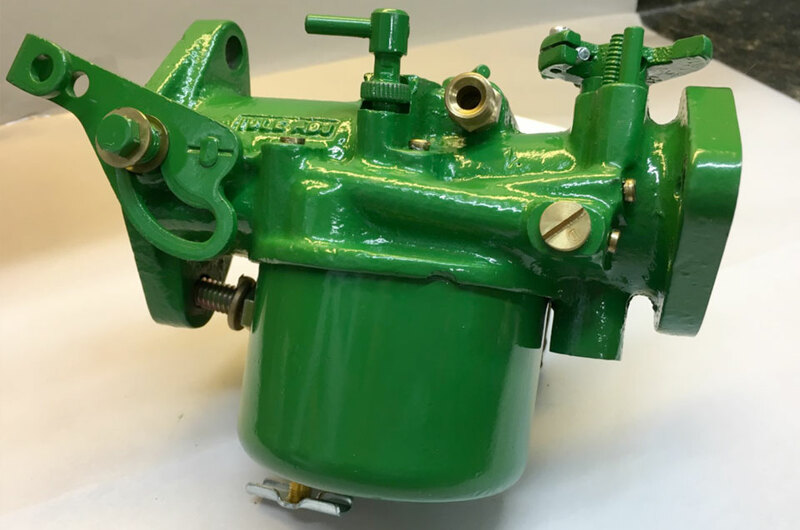 John Deere carbs, Marvel-Schebler, Zenith, cast iron or brass, Wico model magnetos, starters, governors, water pumps, engine rebuilds, New Generation “Bucket Lists”, hydraulic pumps, clutches, injection pumps, wiring, distributors. These are just a few of the things we do all day every day. If you can drive it, ship it or delivery it, we can fix it. 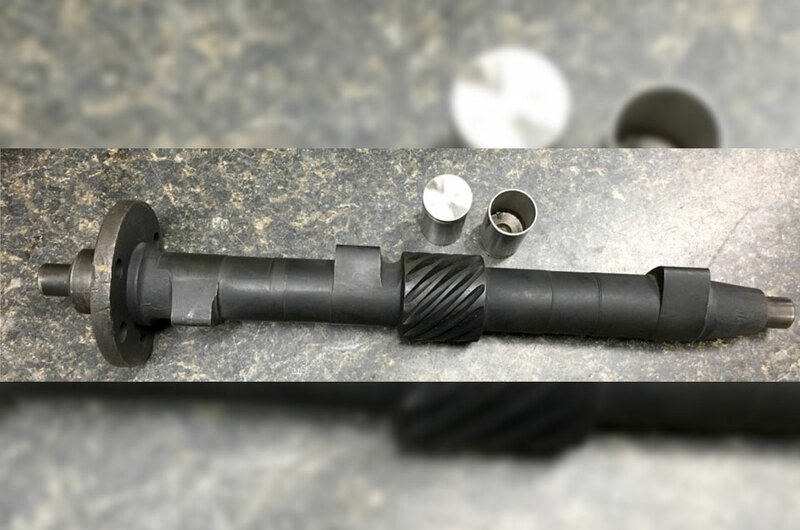 When the other guy says “it can’t be fixed” or “nobody has the parts” check with somebody who specializes in it. Check with us. We can do it for you, sell you the parts or walk you through it—whichever suits you best!